Ladybugs are carnivorous insects and are recognizable due to their bright red or orange wings. 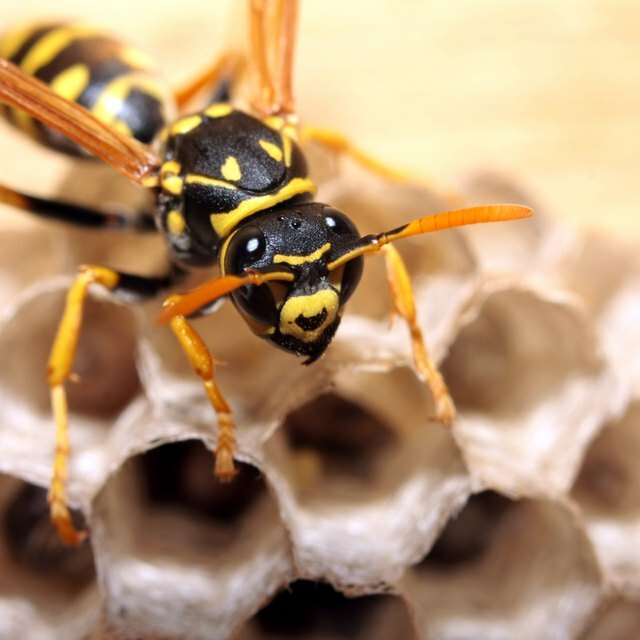 These insects prey on other insects and serve as pest control for farmers who are having problems with insects on their crops. However, some types of ladybugs are on the verge of extinction, such as the nine-spotted ladybug and transverse ladybug, since they are losing their habitat to invasive ladybug species. One organization, the Lost Ladybug Project, raises awareness for endangered ladybug species. Two-spotted ladybugs, or Adalia punctata, have red-colored backs with two black spots, as the name suggests. However, some two-spotted ladybugs have black-colored backs with red spots, but this is a rare occurrence. These type of ladybugs eat other insects as a part of their diet. Two-spotted ladybugs are the second-largest species of ladybugs in terms of population. They are native to North America and western Europe. The 15-spotted ladybugs, or Anatis labiculata, have 13 black spots on its wings, while two of the spots are white. The white spots are on the pronotum, or the ladybug's head. One distinguishing trait of these type of ladybugs is the wing colors change with age. The colors transform from yellow to a purple color. These ladybugs are native to the eastern and midwestern United States. Each wing has seven spots and the largest spot is covered by both wings. The length of these ladybugs is 1/2 inch. The name of eye-spotted ladybugs, or Anatis mali, comes from the yellow rings surrounding the ladybug's black spots. The crimson color on the wings make the spots appear like eyes. These type of ladybugs are native to the United States and Canada. This ladybug has 14 spots and each wing has seven spots. The two spots on the front end of the lady bug's wings are smaller than the other spots and located right next to each other. The nine-spotted ladybugs, or Coccinella novemnotata, have four spots on each wing. The remaining spot is shared by both wings; this wing is at the front of the lady bug's wings. In 1989, the nine-spotted ladybug became the official state bug for New York. However, this bug is almost extinct in the United States, with most sightings in the midwestern and western regions of the country. Their endangerment is a result of the increased population of seven-spotted ladybugs, which are an invasive species in the United States. Coccinella transversoguttata, or the transverse ladybug, is recognized by its narrow spots. This ladybug has five spots. Each of the wings has two spots and the longest spot stretches over both wings near the ladybug's head. 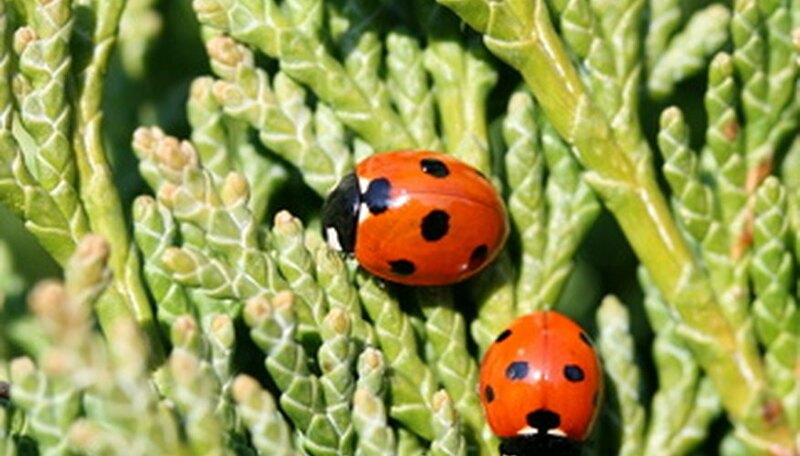 Transverse ladybugs are seen in southern Canada and the western United States. According to the Lost Ladybug Project, this species of lady bugs are endangered. An insect usually known as the pink spotted lady beetle sometimes goes by the name of the pink ladybug. Davis, Skip. "What Types of Ladybugs Are There?" Sciencing, https://sciencing.com/types-ladybugs-there-7656270.html. 06 August 2018.